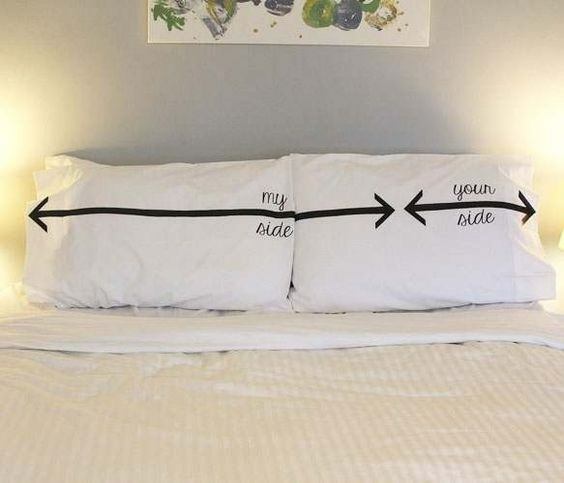 This unique pillow case set is a classic his/ hers style joking about the amount of space your special one takes in bed! 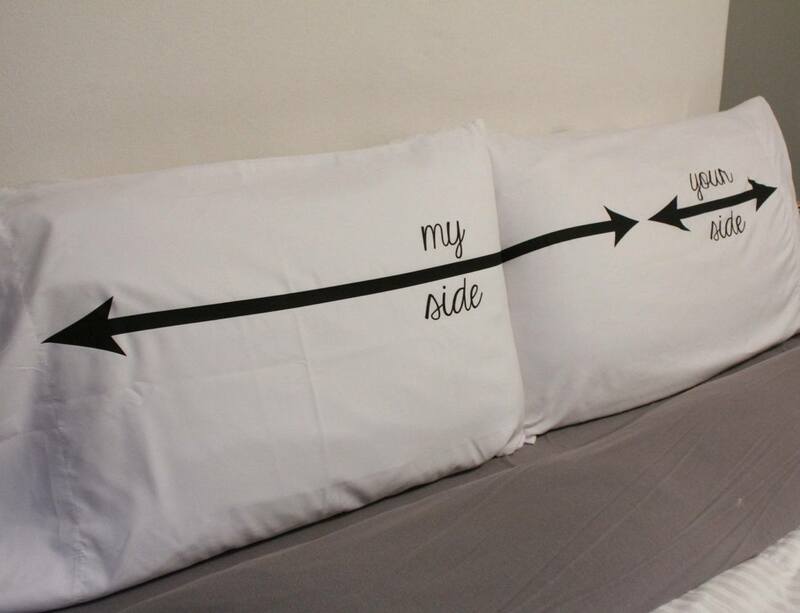 One pillow case has an arrow that continues onto the second pillow case with the words “my side”. 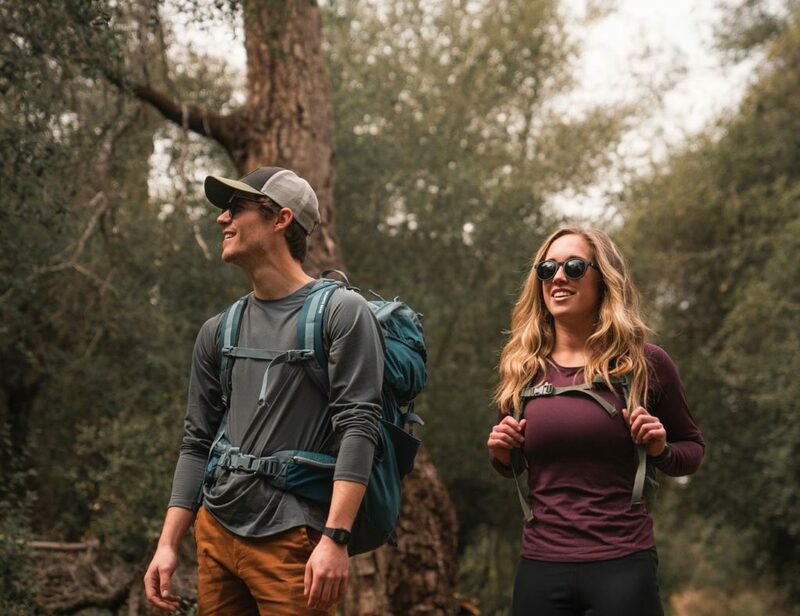 The second pillow case has a shorter arrow that states “your side.” Celebrity endorsed in back stage gifting events and featured in international fashion magazines. 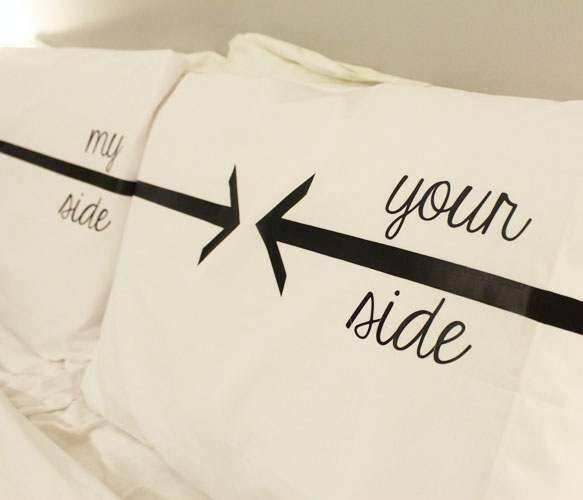 I believe you can redecorate a room with one simple item– a unique, decorative pillow case! After all, everyone deserves to live in a space they enjoy without taking lots of time and money to create it. 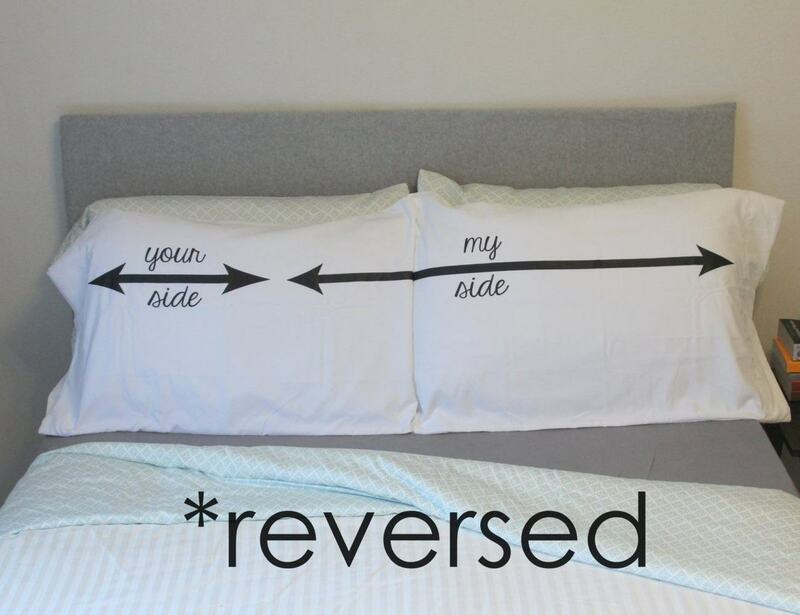 This pillow case set is one of my favorites!